Alex has spent his entire adult life in the Miami, FL community as a strong, and well know business leader. 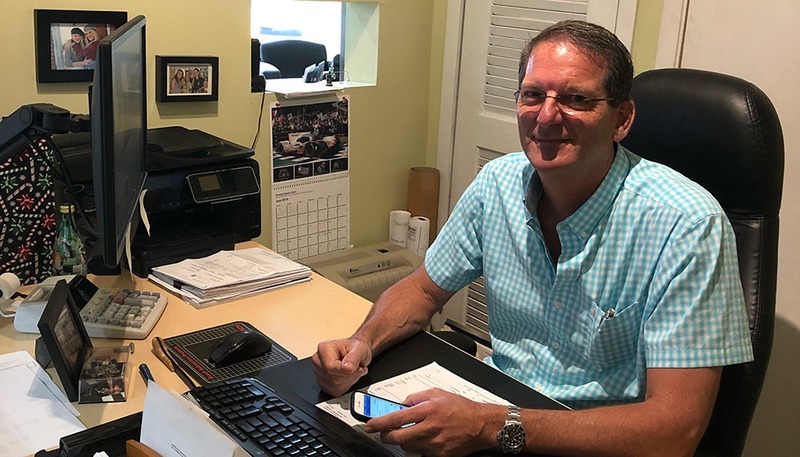 Known for his honesty, integrity, and the way he treats his customers, and his staff for almost 30 years, Alex has learned that the most important deliverable to his customers is how they are treated during their experience at Gold Wing Motors. 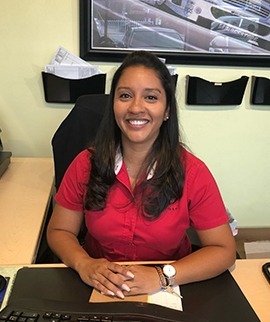 When you bring your BMW, Porsche, Mini, SMART Car, or Mercedes mechanic at Gold Wing Motors, you will receive a thorough and complete estimate for the necessary repairs. We do not try to sell you extra work that is not needed on your vehicle. His team is very experienced, and perform a very thorough analysis of each vehicle that they diagnose. This insures that you will receive a thorough and detailed analysis of your vehicles issues. 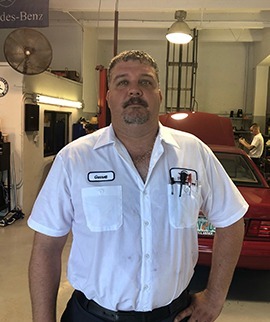 Through honest, and up front communication, you will receive our diagnosis, and we can perform the repairs on your vehicle at a very high level, but a very fair price. A Reputation Almost 30 Years In The Making! 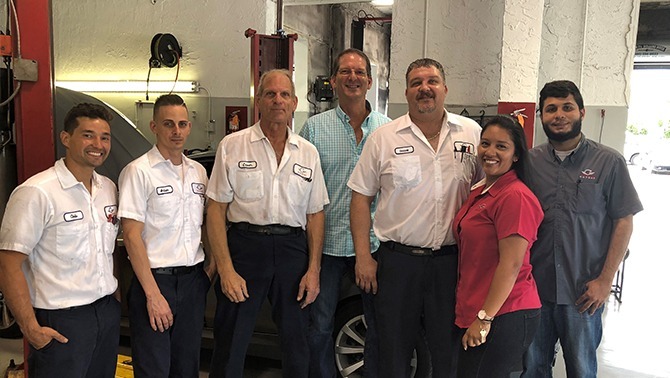 As Gold Wing Motors approaches their 30 year anniversary as the leading Mercedes mechanic center, who also services BMW, Porsche, Mini, and SMART Cars in Miami, FL, we bring a renowned reputation and level of experience that all of our valued customers can count on, every time. When Gold Wing Motors was founded in 1989, it was created out of love for cars. Since I was a little boy, my dad would reward me with Machbox cars when I would win a Judo competition. As I progressed in my Judo skills, I acquire quite a collection! I always excelled at taking things apart and figuring out how they worked. I did this often with my watch, and things around the house. When my dad saw what I was doing, he started buying me model cars to build, and I would spend hours putting them together. From there I moved to remote control cars, and I finally started repairing the family vehicles. When I started high school, they had a vocational program for automotive training. It was a no brainer for me to get out of class and do what I loved to do, which was to fix cars. I graduated from high school in 1984 and immediately started working at Chrysler repairing and servicing their vehicles. I quickly moved to the toughest part of the industry, which at the time, was diagnostic. This consisted of electronic diagnostics and the repairs of these new technologies. At this time, vehicles were starting to become very dependent on computerized engine management. This opened the doors for a change to go to work for the best car manufacturer in the word, Mercedes Benz, as a Mercedes mechanic. I spent 2 1/2 years working at Mercedes Benz of Coral Gables. 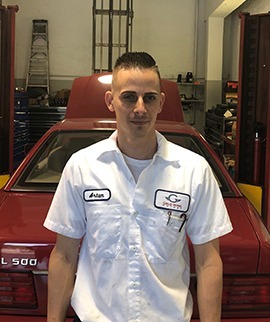 While working for Mercedes Benz, I became a factory certified Mercedes mechanic and continued to get additional certifications on different systems that made up the vehicle. At the time, no one moved up to the line in the dealerships history. This was entirely because of my training and getting trained specifically by Mercedes Benz. While working there I started creating my own clientele completing repair jobs for friends and family. Then, when I had enough customers, I started Gold Wing Motors. In 2003 we moved to our current location at 7495 Coral Way, Miami, Florida. 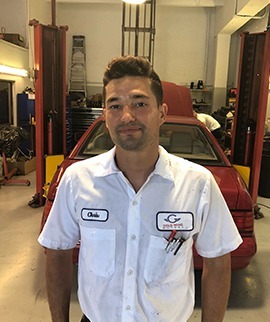 We currently have three technicians who are all ASE Certified Master Technicians, and are also factory trained Mercedes mechanics, as well as BMW, Porsche and Mini Cooper technicians. Our technicians are sent several times a year for training on new technologies and new vehicle models from the different manufactures that we work service. We are also a Bosch authorized service facility. This means that we can service and/or repair most of the components installed in any German cars. For example, alternators, all computer control systems like ABS, SRS, and engine management platforms. We also have two very experienced service advisor’s and one technician helper. They are trained in providing state of the art service to all of our customers. We find it easiest to help you by first listening to your issues, and offering you the best in class solutions. We pride ourselves on honesty, integrity, and quality workmanship. If we cant fix it no one can. Please let me take this opportunity to welcome you to the Gold Wing Motors family. You have a friend in the auto repair business! Our team is not only very qualified to inspect and service your vehicle, but we are also specialists on true people skills and integrity. Since they work on a wider variety of vehicles than their dealer counterparts, their overall expertise is greater, too. 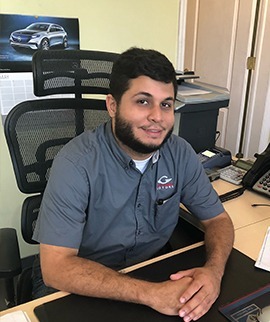 By servicing Mercedes-Benz, BMW, Porsche, Mini Coopers, and SMART cars, you can rest assured that you have a very experienced team taking care of your vehicle. We are highly skilled at diagnosing and successfully servicing the most challenging repairs. As automotive technology continues to advance, our team is continually updating their education & skills. This is part of the ongoing education that is required for them to continue enjoying the official ASE Master Technician status that they continue to work hard to maintain. 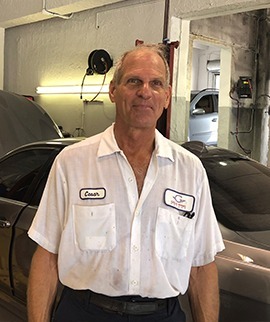 Welcome To The Finest Auto Repair Facility In Miami, FL! We Specialize In Full Maintenance And Repair Of Only The Finest Automobiles On The Road!